Nano Drug Delivery | Genesis Nanotechnology, Inc.
Pseudocolored scanning electron microscope images of platelet-membrane-coated nanoparticles (orange) binding to the lining of a damaged artery (left) and to MRSA bacteria (right). Each nanoparticle is approximately 100 nanometers in diameter, which is one thousand times thinner than an average sheet of paper. Credit: Zhang Research Group, UC San Diego Jacobs School of Engineering. The above post is reprinted from materials provided by University of California – San Diego. The original item was written by Liezel Labios. Note: Materials may be edited for content and length. A trio of researchers, Dean Ho, with UCLA in the U.S., Chung-Huei Katherine Wang, with BRIM Biotechnology Inc., in Taipei and Edward Kai-Hua Chow with the National University of Singapore, has published a review in Science Advances, of the ways nanodiamonds are being used in cancer research and offer insights into the ways they may be used in the future. As the research trio note, significant progress has been made over the past several decades in the development of nano-materials for use in treating cancer and other ailments. The central idea is to use very tiny particles to carry tumor fighting drugs to tumors (they are not as easily repelled as the larger varieties) thereby healing the patient. The list includes metallic particles, nanotubes, polymers and even lipids. More recently, scientists have been looking into using nanodiamonds as more is learned about the electrostatic capabilities of their facet surfaces when they carry chemicals in a biological system, the ways their inert core can be useful in certain applications and as a means to capitalize on their tunable surfaces. Imaging—both DNDs and FNDs, the researchers note are increasingly being eyed as a way to improve magnetic resonance imaging and more recently FNDs are also being seen as a way to track stem cells to learn more about their regenerative potential. Drug Delivery—a lot of research is currently going on to learn more about which types of drugs adhere well to nanodiamond facets, most specifically those used in chemotherapy applications. Biodistribution and Toxicity—similarly, a lot of research is being conducted to learn more about the ways nanodiamonds can be placed into a living organism (injection, consumption, though the skin, etc.) and whether there is a danger of toxicity. The researchers note that another area of study involves using nanodiamonds as part of drug testing—if medications can be carried to specific sites, they note, there might be less side-effects. Another benefit of using nanodiamonds, they note, is that despite being associated with precious gems, nanodiamonds would be quite cheap to procure and use because they can be obtained from mining waste. The implementation of nanomedicine in cellular, preclinical, and clinical studies has led to exciting advances ranging from fundamental to translational, particularly in the field of cancer. Many of the current barriers in cancer treatment are being successfully addressed using nanotechnology-modified compounds. These barriers include drug resistance leading to suboptimal intratumoral retention, poor circulation times resulting in decreased efficacy, and off-target toxicity, among others. 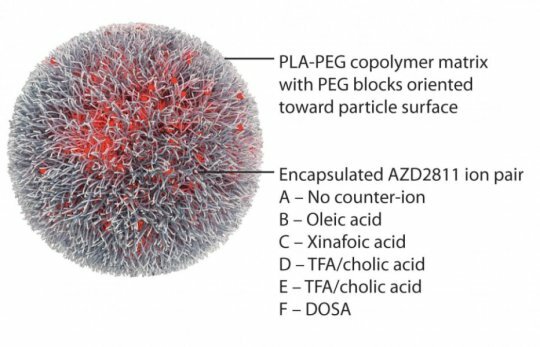 The first clinical nanomedicine advances to overcome these issues were based on monotherapy, where small-molecule and nucleic acid delivery demonstrated substantial improvements over unmodified drug administration. Recent preclinical studies have shown that combination nanotherapies, composed of either multiple classes of nanomaterials or a single nanoplatform functionalized with several therapeutic agents, can image and treat tumors with improved efficacy over single-compound delivery. Among the many promising nanomaterials that are being developed, nanodiamonds have received increasing attention because of the unique chemical-mechanical properties on their faceted surfaces. More recently, nanodiamond-based drug delivery has been included in the rational and systematic design of optimal therapeutic combinations using an implicitly de-risked drug development platform technology, termed Phenotypic Personalized Medicine–Drug Development (PPM-DD). The application of PPM-DD to rapidly identify globally optimized drug combinations successfully addressed a pervasive challenge confronting all aspects of drug development, both nano and non-nano. This review will examine various nanomaterials and the use of PPM-DD to optimize the efficacy and safety of current and future cancer treatment. How this platform can accelerate combinatorial nanomedicine and the broader pharmaceutical industry toward unprecedented clinical impact will also be discussed. Summary: Some substances, when they undergo a process called ‘rapid-freezing’ or ‘supercooling,’ remain in liquid form — even at below-freezing temperatures. A new study is the first to break down the rules governing the complex process of crystallization through rapid-cooling. Its findings may revolutionize the delivery of drugs in the human body, providing a way to ‘freeze’ the drugs at an optimal time and location in the body. Water, when cooled below 32°F, eventually freezes — it’s science known even to pre-schoolers. But some substances, when they undergo a process called “rapid-freezing” or “supercooling,” remain in liquid form — even at below-freezing temperatures. The supercooling phenomenon has been studied for its possible applications in a wide spectrum of fields. A new Tel Aviv University study published in Scientific Reports is the first to break down the rules governing the complex process of crystallization through rapid-cooling. According to the research, membranes can be engineered to crystallize at a specific time. In other words, it is indeed possible to control what was once considered a wild and unpredictable process — and it may revolutionize the delivery of drugs in the human body, providing a way to “freeze” the drugs at the exact time and biological location in the body necessary. The study was led jointly by Dr. Roy Beck of the Department of Physics at TAU’s School of Physics and Astronomy and Prof. Dan Peer of the Department of Cell Research and Immunology at TAU’s Faculty of Life Sciences, and conducted by TAU graduate students Guy Jacoby, Keren Cohen, and Kobi Barkai. The researchers are investigating an appropriate new nano-capsule capable of releasing medication at a specific time and place in the body. “The challenge now is to find the right drugs to exploit our insights for the medical benefit of patients,” said Dr. Beck.